AndyThies is creating art for Minecraft. Hey there, I'm Andy (stapleshotz)! Whether you're a long time supporter of the Pumpkin Patch Resource Pack, or a brand new fan, I'd like to extend my thanks! It's always humbling to see people using my work. So the Pumpkin Patch Resource Pack has been a passion project of mine since July, 2012 and it's been so much fun working on it. Over the years, I've slowly updated/changed it and it's my aim to never stop improving it. If you'd like to help take the pack to the next level, you can support it here by becoming a patron! By pledging a few dollars a month you'll help make sure that the Pumpkin Patch Resource Pack continues to be updated (as well as ensure that I don't starve to death). Neat, but like... what's in it for me? If you become a patron, you'll be able to download new updates before I officially release them (and you won't have to deal with ads). You'll also have access to my Trello board, so you can see my schizophrenic workflow and see what I'm currently working on or planning to work on in the future. I may also take your requests if possible. 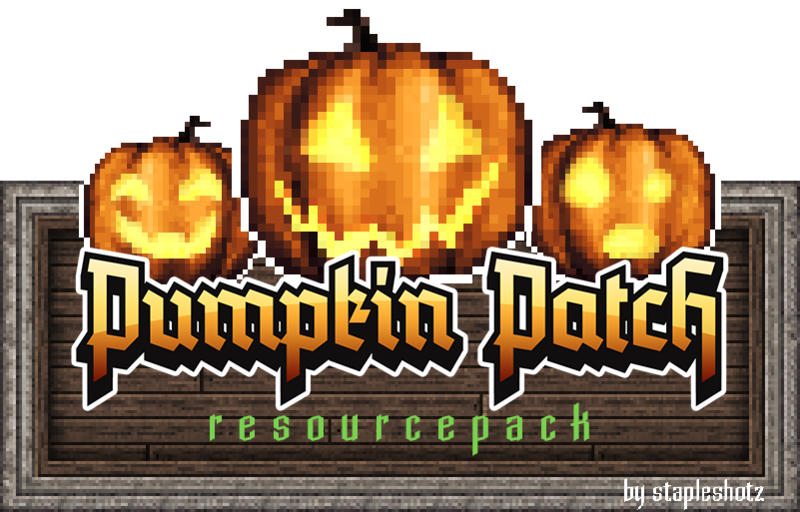 Whether you choose to become a patron or not, thank you so much for supporting the Pumpkin Patch Resource Pack! It means a lot. Let your spooky soul free! Get access to the Trello board, and download the pack ad free! Also, I'll love you forever. Turns out you were a pumpkin all along! Everything from Spoogeist tier, as well as early access to updates and be able to make requests. Add custom sounds which you'll be able to play by using the "/playsound" command. Or maybe I'll make it a separate 'sound pack'? Not sure yet.